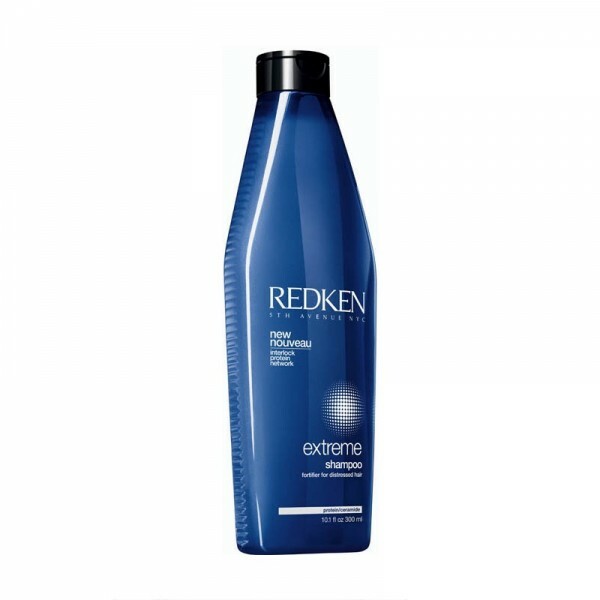 Give damaged hair the strength it needs with Redken Extreme Shampoo and Conditioner Duo; a combination of extreme strengthening products that work in synergy to prevent breakage and further damage. Host to a shampoo and conditioner, the duo guarantees to nourish locks and leave hair visibly healthier. Allow dry, brittle and damaged hair to be gently cleansed and repaired with the Extreme Shampoo. 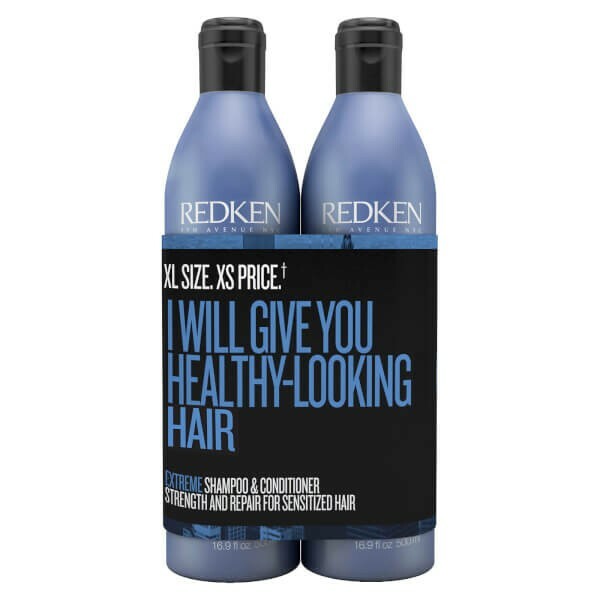 Its rich, nourishing formula will leave hair feeling smooth, soft and more manageable. Formulated with ceramides and proteins that begin damage control on the inside with a double line of defence, it helps prevent further damage and split ends by constantly supplying strength. 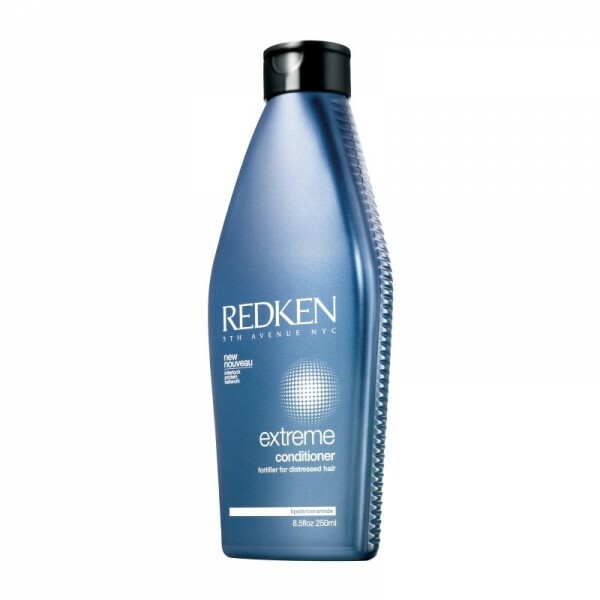 Condition and detangle damaged and stressed hair with the Extreme Conditioner. The strength-restoring conditioner will smooth cuticles and ease wet combing, leaving hair in optimum shape. Formulated with ceramides and proteins that begin damage control on the inside with a double line of defence, the Extreme Conditioner helps prevent further damage and split ends by constantly supplying strength. Damaged and stressed out hair will be left soft, smooth and more manageable and even the most tenacious tangles will comb through easily. Shampoo: Apply to wet hair, massage into a lather. Rinse. For best results follow with Extreme Conditioner. Conditioner: After shampooing, apply and distribute through hair. Rinse. For best results follow with Extreme Anti-Snap.